You need to move produce, meat or some other temperature controlled products across the street or across the country. It doesn’t matter how far the truck is going, it needs special handling to ensure that your product arrives fresh, safe and on time. Who do you turn to ensure that your load gets where it is headed? You need a quality reefer trucking company that is experienced in all of the nuances of shipping refrigerated freight. Reefer trucking is a specialized shipping method that uses temperature controlled trucks to move product. Driven by experts in the field, reefer truck drivers know exactly how to keep each load at the right temperature so that it arrives at its destination safely and securely. They have been trained especially in refer trucking and guarantee expert handling. What Makes Reefer Shipping Unique? Reefer trucks are temperature controlled vehicles that utilize modern technology to keep temperatures stable; therefore keeping foods and other items fresh. Understanding when a truck can be stopped; how to refuel without interrupting the cooling cycle; and how to ensure the integrity of the refrigeration process throughout the journey, is vital when shipping items that must remain cold or frozen. Experience: only trucker strained in refrigeration and refer shipping can guarantee that the load is properly cared for throughout the journey. Reputation: satisfied customers are a wonderful way to gauge a company’s efficiency. Ability to Handle Special Circumstances/Contingency Planning: what does the company do when a truck breaks down or road delays interrupts a time sensitive delivery. Make sure any company you choose has contingency plans in place to handle unforeseen circumstances. Logistical Support: does the company know how to handle every aspect of a reefer job? Equipment Availability: what kind/size trucks are available? Customer Service Communication : can you get ahold of a service representative any time of the day or night with questions or concerns? Transport Availability: what lead times does the shipping company need? 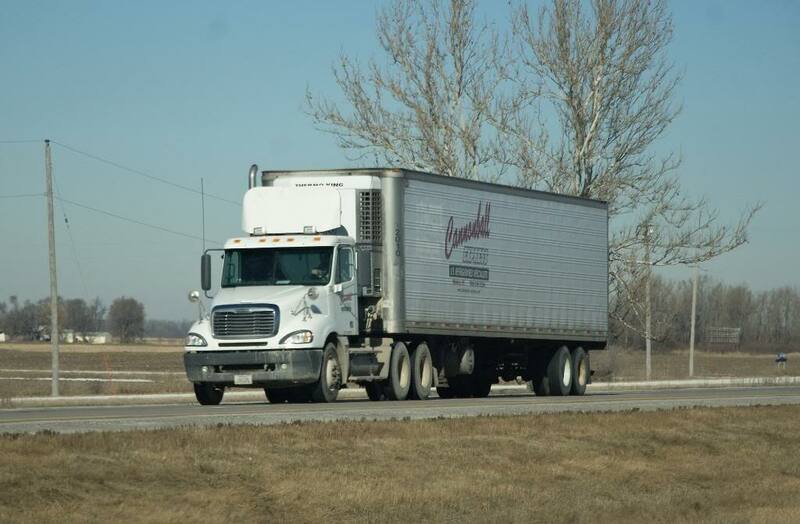 Cannonball also operates a fleet of refrigerated shipping equipment, which handles LTL products to all points in the lower 48 states. We make weekly scheduled deliveries of time sensitive perishables. Give us a call for more information.